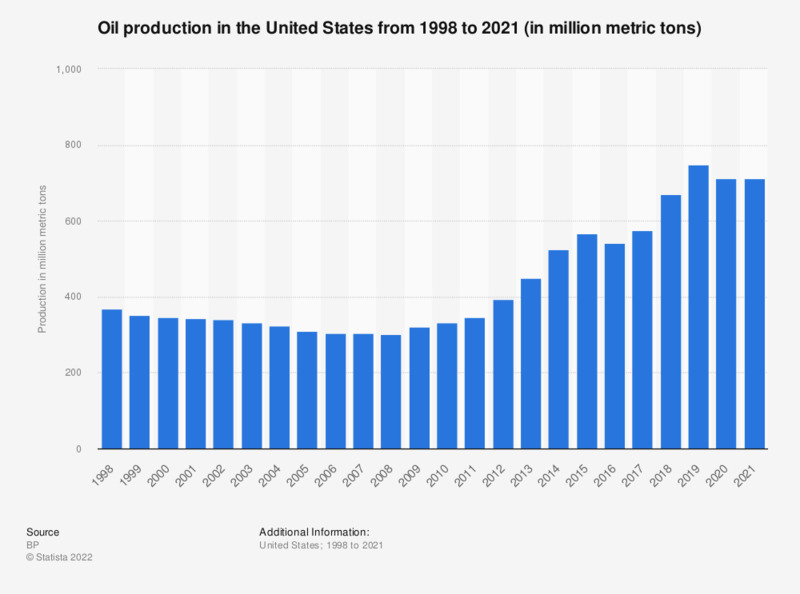 This statistic shows the oil production in the United States from 1998 to 2017. In 2017, the United States produced around 571 million metric tons of oil. According to the source, oil production includes crude oil, shale oil, oil sands, and NGL (the liquid content of natural gas, where this is recovered separately). It excludes liquid fuels from other sources such as biomass and coal derivatives. According to the source, oil production includes crude oil, shale oil, oil sands, and NGL (the liquid content of natural gas, where this is recovered separately). Excludes liquid fuels from other sources such as biomass and coal derivatives. Figures for 2011 to 2016 were restated in the 2018 edition of the report.